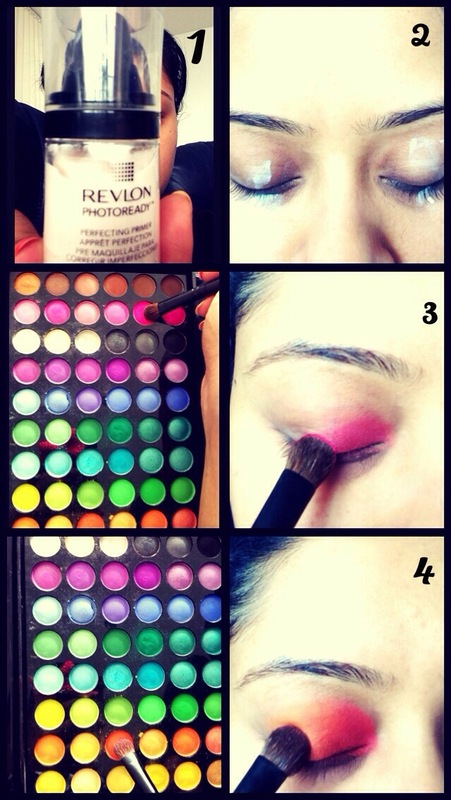 Step 1 & 2: I used Revlon photoready face primer to prime my eyes. 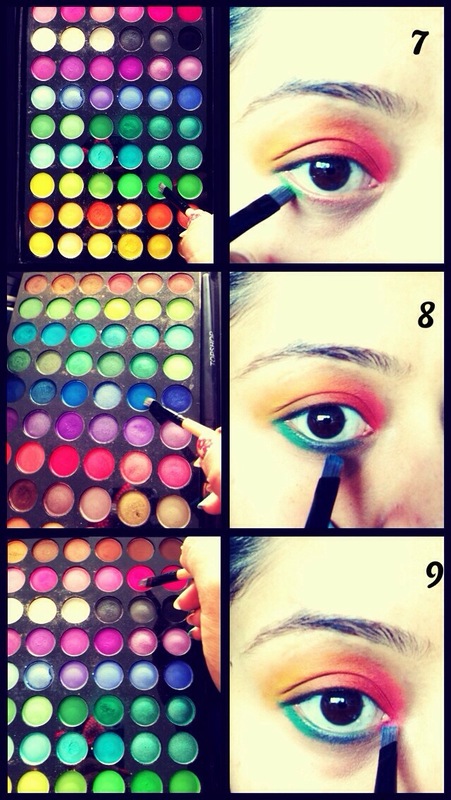 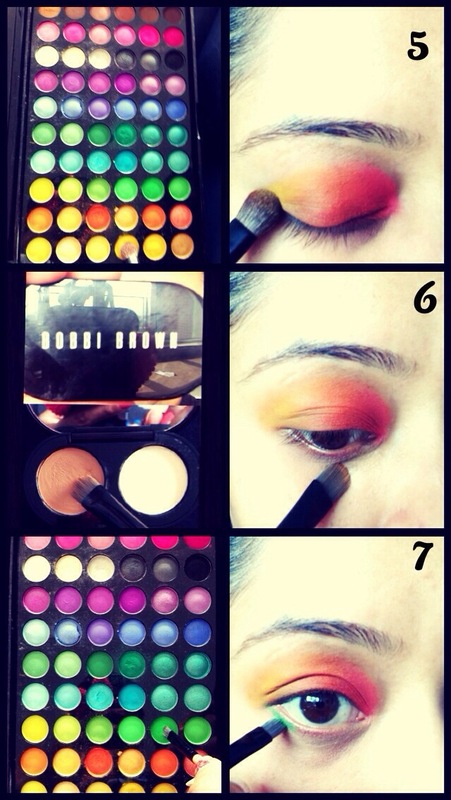 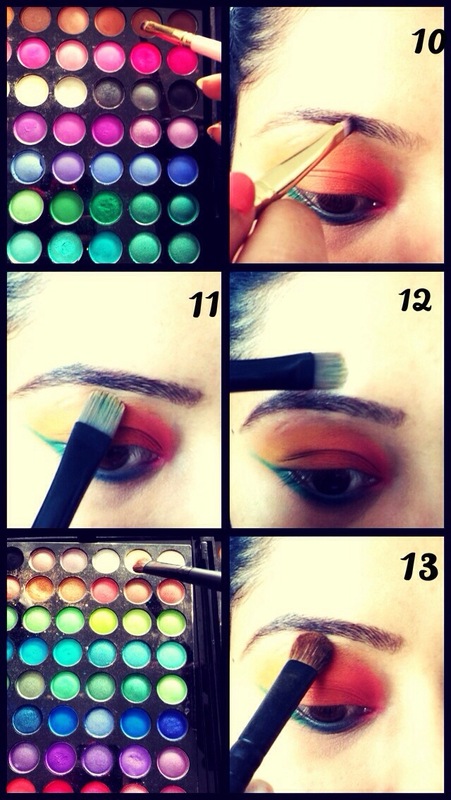 Step 7 – 8 – 9: I applied green, blue and pink eyeshadow to the bottom lid. 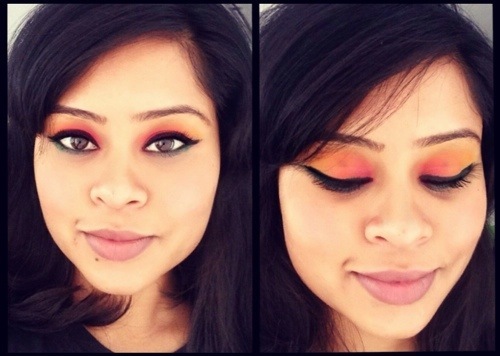 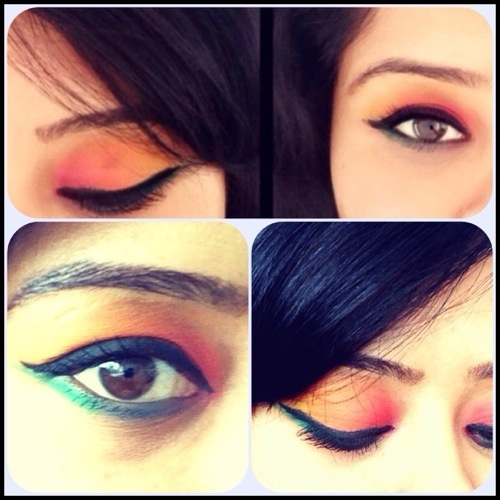 Step 14 – 15 -16: I used Mac black liquid eye liner above my eyes. 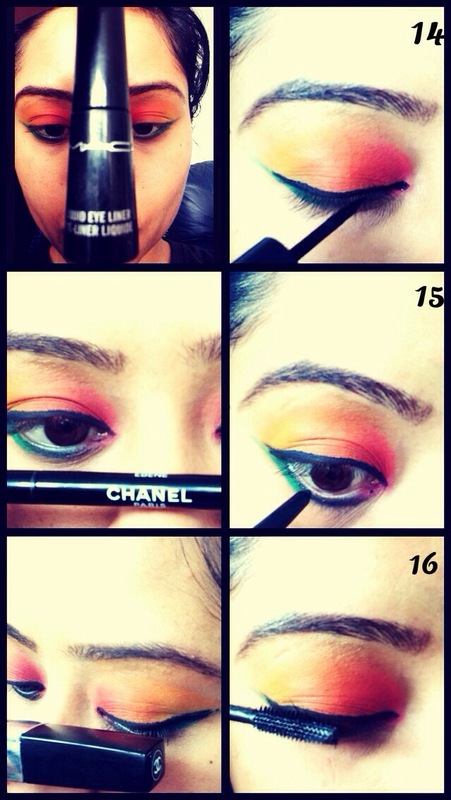 I used Chanel black khol pencil under my eyes and Chanel intense black mascara for my lashes.